Some photographs from this year’s event have been added to the 2017 Gallery page. These were taken by Chris Glasby, Ben Powers and Dave Cram. More will be added at a later date. The fifth Welland Valley Wander enjoyed fantastic weather for another great event. A few pictures from the day. A full album will follow in due course. Posted in Uncategorized	| Comments Off on A good day! 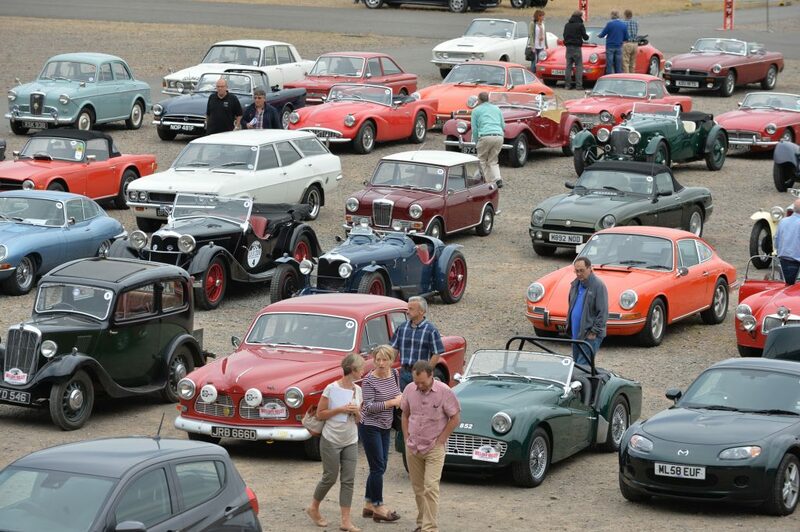 The fifth running of the Welland Valley Wander sees a bumper entry with a record number of 85 cars on the entry list. Start Times and Final Instructions have now been distributed to participants and are also shown on this website. Please note that there may be updates and amendments to the start list before the event as cars and occupants change. The Final Instructions for the 2017 event will be sent by email to all participants around 3/4 August. Once again, we will attach the route narrative so that it can be read at leisure before the event. We are heading for another bumper entry, but due to the locations being used, we are not bridled by a upper limit on entries so if you have friends who wish to come or you have not yourself entered, please use the entry form on another page on this website. We are on track for another bumper entry in 2017. Entries received so far are now shown on a separate webpage. If you are intending to enter, there are still places available and we will be happy to see you. You can either download an entry form for the webpage on this site, or send an email via the contact page and we will contact you by return. Posted in Uncategorized	| Comments Off on Have you entered? Participants have a choice for the lunch stop this year. Those wishing to picnic can choose the picturesque settings of the grass meadows at Launde Abbey. As an alternative, for those who wish to be catered for, Uppingham School have kindly agreed to allow the quads within the walls of the school grounds to be used for parking before a short walk to any of the various pubs, coffee shops of hotels serving lunchtime refreshments. A new start venue has been announced for the 2017 Welland Valley Wander. The fascinating Quorn Station on the Great Central Railways heritage line will be the start-point for the tour. 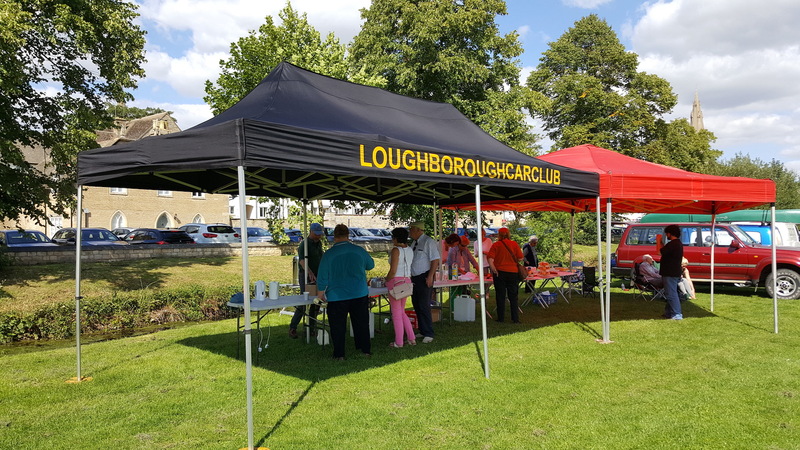 As the location is to the west of Leicester, the event will travel through the little-known Charnwood Forest before moving east towards Uppingham and then onwards into Lincolnshire to finish at Stamford on the river meadows alongside the Welland. In recognition of the new areas to be visited, perhaps the title should be ‘The Wreake, Soar and Welland Valleys Wander’! Posted in Uncategorized	| Comments Off on Go West! The fifth Welland Valley Wander will be announced at the HRCR Open Day at Gaydon on Saturday 14 January 2017. Full details will be updated on this website and details will also be distributed to past participants. The event, to be held on Sunday 13 August 2017, will see a new start venue and a return to a favourite place for the finish. 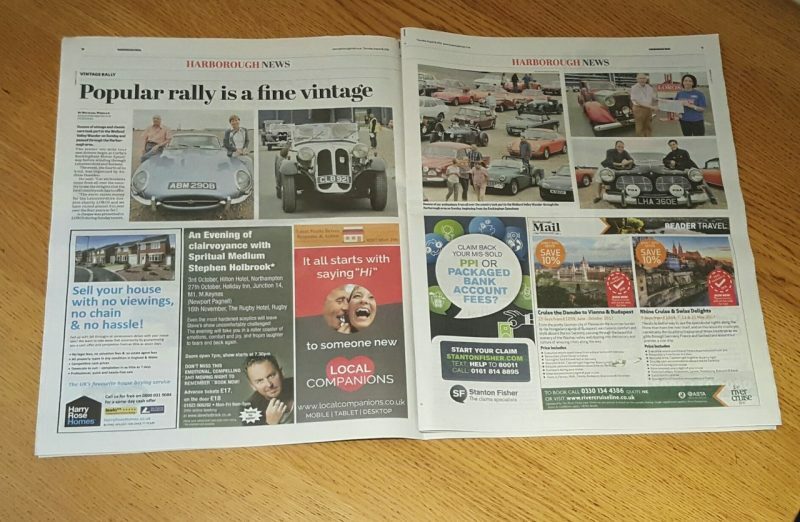 The Harborough Mail included a double page spread of Andrew Carpenter’s photographs in this week’s issue. Posted in Uncategorized	| Comments Off on We’re in the news! The fourth Welland Valley Wander appears to have been a success, judging by the congratulatory messages arriving at Hadley House. 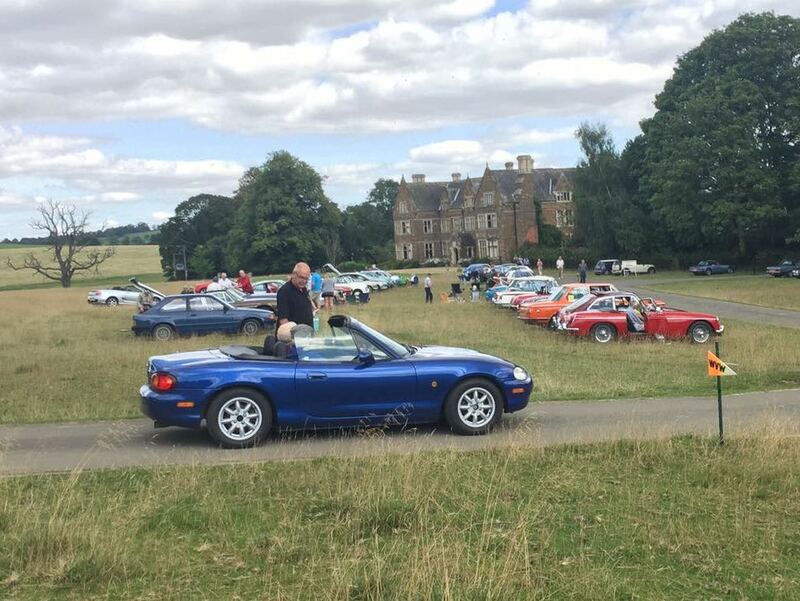 A particular comment referred to the ‘eclectic mix’ of cars on the start list. That certainly seemed to be the case! 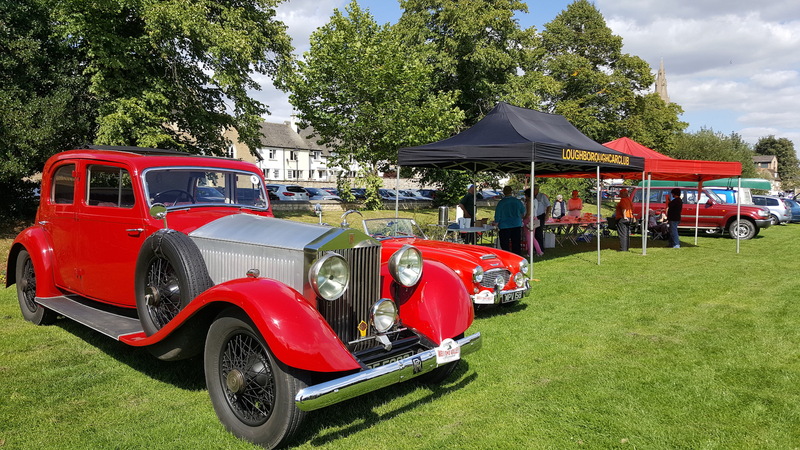 Some of the classic cars taking part in the Welland Valley Wander. 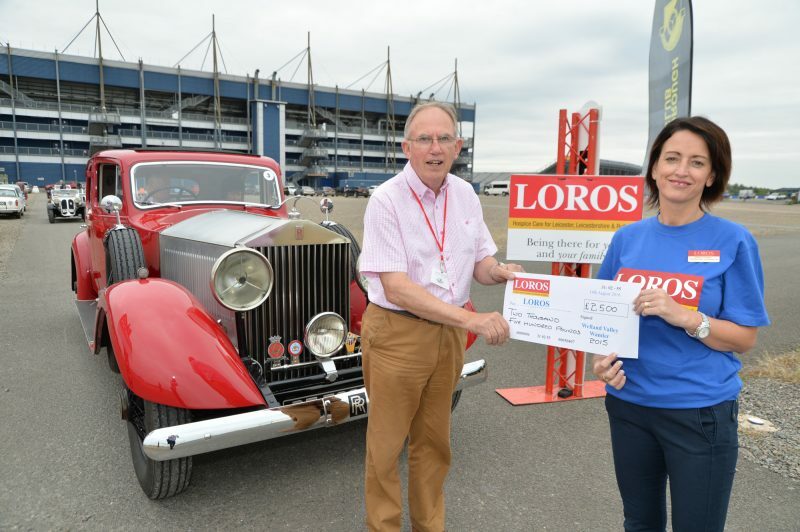 Once again, the event was raising funds for LOROS, the Leicestershire & Rutland hospice and event organiser, Andrew Duerden handed over a cheque for £2500 from last year’s event to Debbie Dickman of LOROS before she flagged off the maginificent Rolls Royce Phantom II of Pete and Susan Walton. Andrew Duerden hands over £2,500 to Debbie Dickman of Loros before the start of the Welland Valley Wander from Rockingham Speedway. 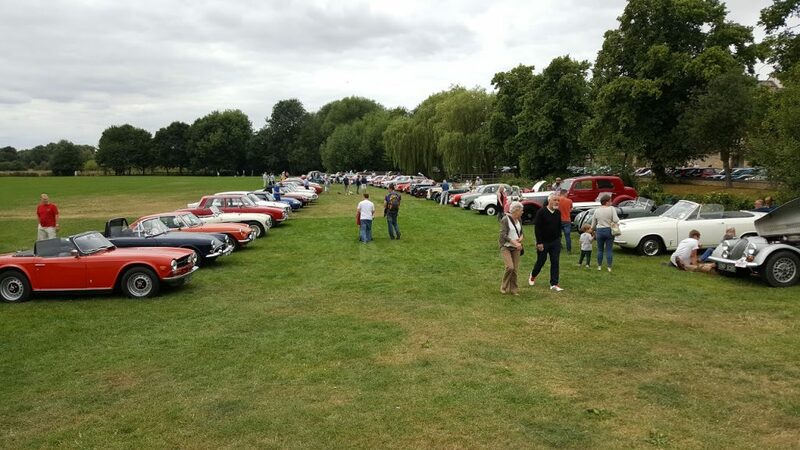 One of the highlights of the day was the lunchtime halt on the banks of the Welland at The Meadows, Stamford where a large crowd came to see the varied range of machinery. 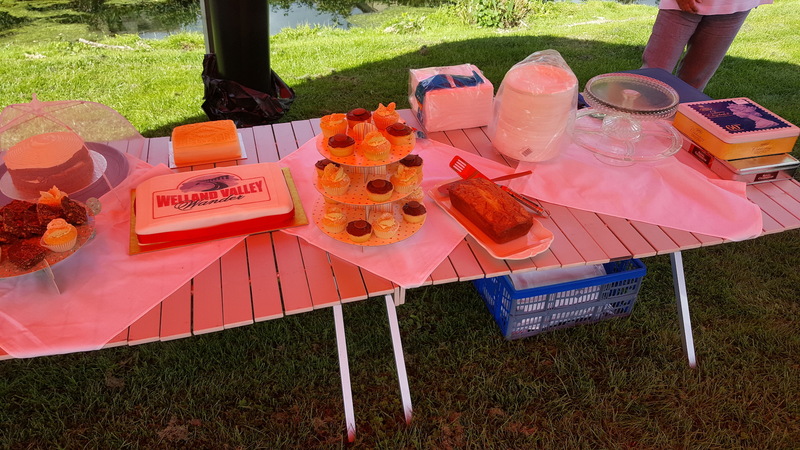 As tea and cakes were served at the finish at Drayton House, the results of the voting for the car most participants would like to take home was announced. 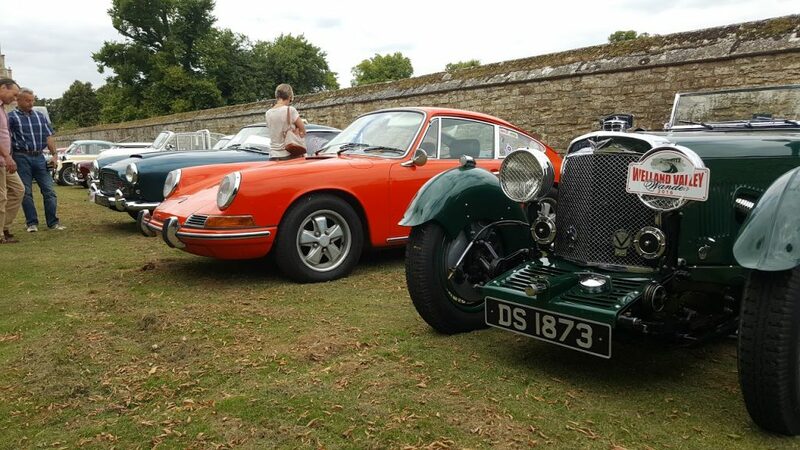 It was a close fought contest between Pete Walton’s Rolls Royce, Richard Wyldes’ BMW 328 and the eventual winner, Richard White’s Aston Martin Le Mans seen on the right of the picture below. Posted in Uncategorized	| Comments Off on A grand day out!